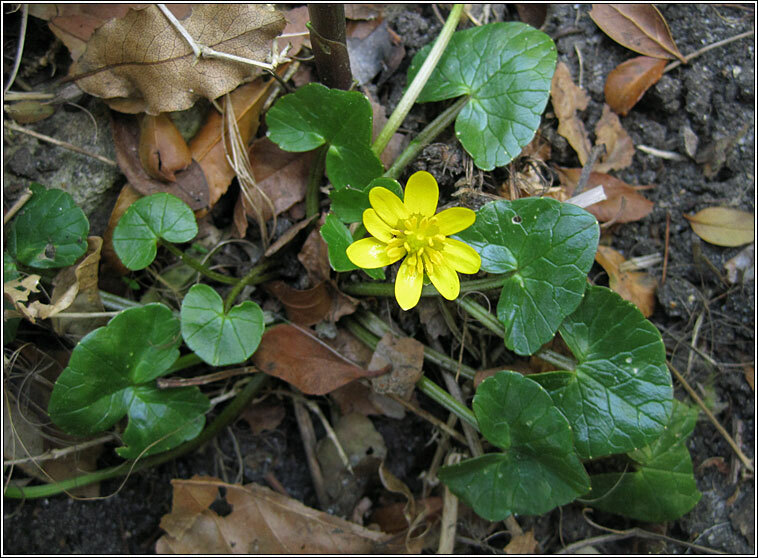 Habitat: Can be locally abundant throughout most of Britain and Ireland. Prefers damp soils in woods, gardens and fields and on banks and roadsides. 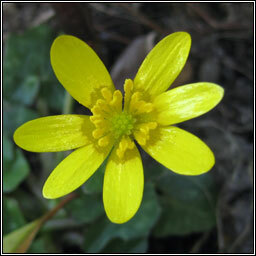 Yellow flowers with 8-10 petals and usually 3 sepals on long, ascending flower stalks. Many minutely hairy achenes. The glossy hairless leaves are long-stalked, cordate, mainly basal. Creeping, rooting stems. Rootstock is mass of white tubers.